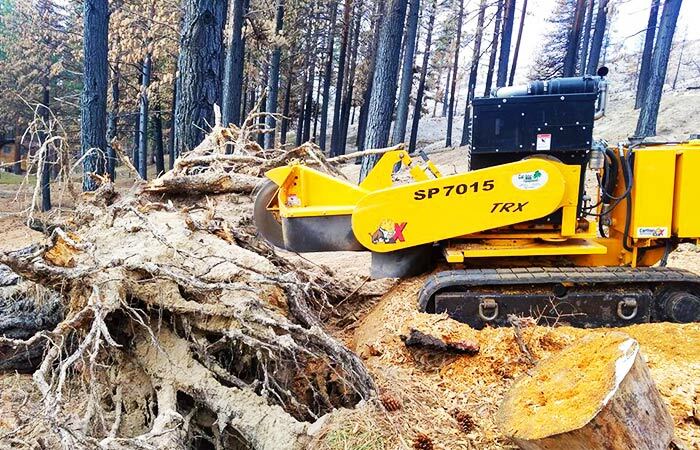 Battle Born Tree Service LLC., is equipped with two different stump grinding machines which allow us to remove stumps quickly and efficiently. Stump Grinding will prevent the growth of new foliage from the roots and root ball. Stump Grinding is the fastest way to remove tree stumps instantly. Our stump grinder will quickly chew 15 inches below ground level and once finished, you can plant new grass, plants or even a new tree.